Facebook has acquired SportStream, a start-up firm that analyses social media mentions of sport. The social networking site said that SportStream enables users to aggregate, filter and display "real-time" data. The acquisition is expected to make it easier for Facebook's media partners to find posts about sport on its website and use them in their content. 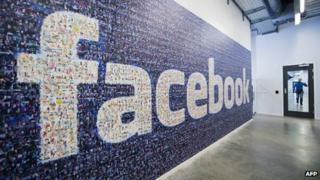 The move is being seen as an attempt by Facebook to be a real-time social content provider like rival Twitter. "Through this acquisition, we expect to meaningfully improve the ability for all of our partners to access and utilise the insights from Facebook's tools," Justin Osofsky, vice president of Media partnerships & global operations at Facebook, said in a blogpost. "We will be able to build a better experience for the people who use Facebook, and for our partners who depend on us for real-time insights." The firms did not give the financial details of the deal. Facebook has taken various steps in recent months to make it easier for users and partners to find posts related to specific topics. These include the introduction of hashtags, embedded posts and trending topics. In September, it allowed selected news organisations to integrate Facebook conversations into their broadcasts or coverage by "displaying public posts of real-time activity about any given topic". Partners have also been allowed to show the number of Facebook posts that mention a specific word over a period of time, including a demographic breakdown for the people talking about that topic. The company said that it wanted users to be able to connect to each other through their "shared interests" and the latest move was an attempt to make that easier for them. "A spirited conversation about sports is happening on Facebook both in real-time and over the water cooler the day after," said Mr Osofsky. "We want to help people connect with their passion around sports, and the world more generally."